Nicole is originally from Columbus, MS and she moved to the Jackson metro area in 2003. She received her Bachelor of Science in Education from Mississippi University for Women in 2000. Upon graduation, Nicole began her teaching career and over the years, she has taught in both the public and private sectors. Her last teaching assignment was at Park Place Christian Academy in Pearl where she taught pre-algebra. Desiring a new career path in 2014, Nicole was encouraged by friends and family to pursue her passion for real estate and she quickly found that it was a natural fit for her. 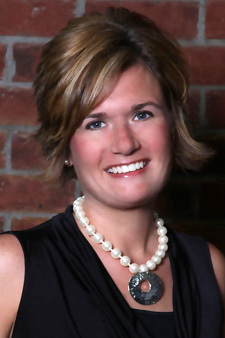 Through her extensive teaching career, Nicole learned the importance of listening and treating each client in a unique way. She draws upon her years of teaching experiences to give her a unique perspective for her clients and to assist her in providing exemplary service to each one. Nicole primarily works with residential buyers and sellers in Hinds, Madison, and Rankin counties. When she isn’t helping clients, she loves spending time with family and friends. Nicole is married to Steve Ciaravino and they have two young children. Some of her favorite hobbies include: traveling, cooking, and enjoying the outdoors. If you are looking for a dependable, trustworthy, and hard-working agent, call Nicole Ciaravino at 601-953-1887 or email: Nicole@hopperms.com.